We could never thought we will see a basic phone from Nokia which can take great selfies. yaah, it’s a very basic phone which costs just around Rs. 3600 and it has everything that a basic phone should have which a good build quality, as far as I can guess from the intro video. And the best part, it has dual cameras on front and back, both are equipped with LED flash, a great dessert with a good dinner!! 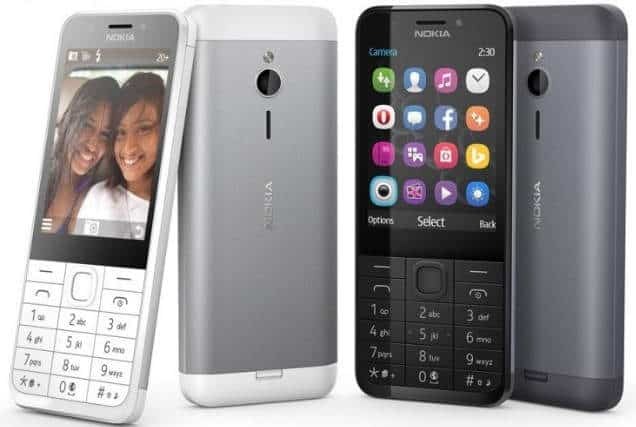 The all new Nokia 230 is here with LED flash on both and rear cameras. Specs wise, you won’t see anything very significant that will blow your mind, but if you take the price tag, it’s a worth buying phone if you’re willing to use a secondary phone with a good selfie cam with LED flash on front for taking some selfies. The aluminium back cover adds a premium look to the device and as far as I remember, probably that kind of things we used to see in some really expensive phones a few years back. The Nokia 230 is the successor to Nokia 130, which has launched last year. On the Nokia 230, you will get a 2.8-inch QVGA (320 x 240) display, a 2-megapixel front camera for selfies, as they have focused on this p[articular feature and support for up to 32GB of external storage via microSD card. Also, can’t forget to mention, on the rear as well, there is LED flash for sure. There’s also a dual-SIM model, named simply as the Nokia 230 Dual SIM. OOoooppsss, almost forgot to mention, it comes with a dedicated camera key for your convenience. Many of you may feel like it’s nothing if we compare with a smartphone under Rs. 4000 in terms of display, processing power and hardware specs, but Nokia 230 definitely manages to keep you connected with some of the most popular services including Facebook, Twitter, Bing Search, MSN Weather and Opera’s data-saving Mini Browser. And Microsoft will be bringing the Nokia 230 and Nokia 230 Dual SIM to India, Asia and the Middle East in December, but you may have to wait a bit to put your hands on this tiny selfie phone if you live somewhere else. meanwhile, you may like to check the specs of the Nokia 230.